Recently I was asked to attend a media day at Vail. Gladly I accepted. My family has loved skiing Vail since our kids were young and we feel like the area is our second winter home. It really is. So I boldly took Skyler, my 4th grader, out of school [TCAPs happening and all] and we headed up the mountain. This was going to be a day of experiential education! We pulled up to the Arrabelle and valet parked our car [Thanks, Vail and yes, I would love to stay with my family at the Arrabelle one day!]. All the little touches that ensure you know you are at a high end resort were present and made this space subtly magnificent. But alas we were not checking in so we gave our keys over to parking attendant, poured ourselves some hot chocolate and coffee, and headed out to our Vail playground destination. We made our way to the gondola [right around the corner] and met up with our media day crew. Many of these writers brought their kids along too which made it even more fun! 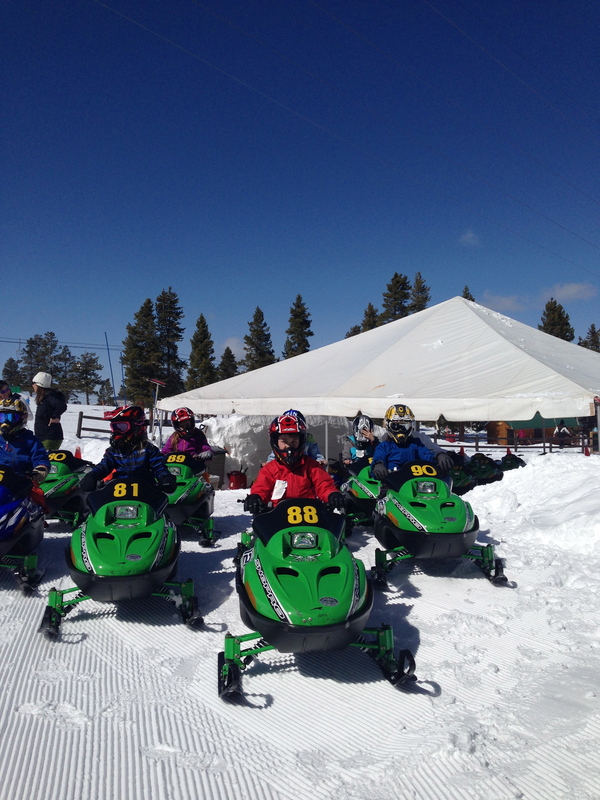 We immediately headed up to Adventure Ridge with the intention of trying out their zipline, tubing, & snowmobiles. We wanted to know what families with kids who don’t ski, or families wanting to take a day off, can expect from the on-mountain activity center. It turns out Adventure Ridge is a great option! I have to be honest. I am scared of heights and going too fast. I ski fast only to keep up with my family at this point. But I was not going out there with a bunch of kids and parents and not getting on the activities. I had to save face at all costs. So Skyler and I grabbed our tubes and got on the sort of odd conveyor belt that took us to our destination at the top of the hill. The other option was walking up, so we were fine with the ride. Skyler went first. He plopped the tube down, asked the attendant a few questions [he likes to make sure he does things the right way], and off he went. So quickly I almost missed his ride. Getting ready to go double! Me on the other hand, I slowly and cautiously got in my tube trying not to make eye contact with the ride organizer. But I didn’t go unnoticed so she made her way over and gave me a gentle shove off the edge. It was really fast! So fast. But it was exhilarating and awesome at the same time. I was sold. I jumped off my tube and ran to catch up with Skyler to take another run. This time we went together. He wanted a spin. We settled on just going down forward this time. Next time we spun. And spun. And spun. Smiles!!!! The track was perfect for kids! Adventure Ridge offers amazing on-mountain family-friendly things to do in Vail when you are not skiing. But depending on how old your kids are, if they ski yet, or you just don’t want them in ski school yet, you can check out ice skating at Lionshead, the Pirate Boat Playground and the water fountain at the base of the mountain in Vail Village, head to Fuzziwigs for a sweet old fashioned treat, or downstairs to Joe’s Famous Deli and Ice Cream for some delicious ice cream. These are all things my kids still love to do in Vail when the skis are off and have for a long time! Thanks to the Vail Communications Crew for letting us experience Adventure Ridge! We will be back to play with the whole family again. What are your favorite non-skiing/boarding family-friendly options in Vail? This entry was posted in Uncategorized and tagged #Vail, Adventure Ridge, Arrabella, Family Friendly, Skiing, Sledding, Snow Tubing, Snowboarding, Snowmobile, Vail Mountain, zipline by Boulder Families. Bookmark the permalink.